The campaign to choose a city for 1940 began in 1932, with Barcelona, Rome, Helsinki, and Tokyo participating. 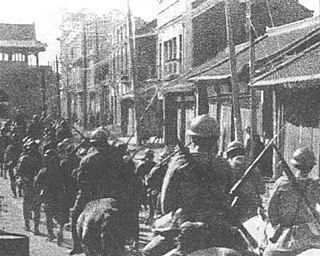 Tokyo city officials suggested a campaign as a means of international diplomacy following Japan's alienation from the League of Nations due to the Mukden Incident, in which Japan occupied Manchuria and created the puppet state of Manchukuo. While both Tokyo officials and International Olympic Committee (IOC) representatives were behind the campaign, the national government, which was ever more interested in military matters, did not have any strong supporters for such a diplomatic gesture. 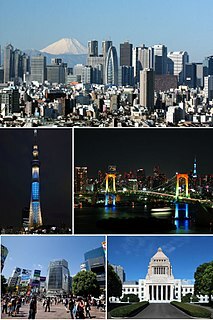 In 1936, Tokyo was chosen in a surprise move, making it the first non-Western city to win an Olympic bid. The British Olympic Association (BOA) is the National Olympic Committee for the United Kingdom. It represents the Olympic movement and organises the participation of athletes from across the Olympic sports which competes as Great Britain or at the summer, winter and youth Olympic Games. The Meiji Jingu Stadium is a baseball stadium in Shinjuku, Tokyo, Japan. It opened in 1926 and holds 37,933 spectators. Property of the Meiji Shrine, it is the home field of the Tokyo Yakult Swallows professional baseball team. It also hosts college baseball, including the Tokyo Big6 Baseball League and the Tohto University Baseball League. Kinuta Park is a park in Setagaya, Tokyo. The total area is 39 hectares, 240,000;m² of which are grass. The 1940 Winter Olympics, which would have been officially known as the V Olympic Winter Games, were to have been celebrated from 3 to 12 February 1940 in Sapporo, Japan, but the games were eventually cancelled due to the onset of World War II. Sapporo subsequently hosted the 1972 Winter Olympics. Kōichi Kido, who would later be instrumental in the surrender of Japan in 1945, announced the forfeiture on July 16, 1938. He closed his speech saying, "When peace reigns again in the Far East, we can then invite the Games to Tokyo and take that opportunity to prove to the people of the world the true Japanese spirit." This would come to pass in 1964. The IOC then awarded the Games to Helsinki, Finland, the city that had been the runner-up in the original bidding process. The Games were then scheduled to be staged from July 20 to August 4, 1940. The Olympic Games were suspended indefinitely following the outbreak of World War II (Winter War in particular) and did not resume until the London Games of 1948. With the Olympics cancelled, the major international athletics event of the year turned out to be the annual Finland-Sweden athletics international, held at the new Helsinki Olympic Stadium, exceptionally held as a triple international among Finland, Sweden and Germany. Gliding was due to be an Olympic sport in the 1940 Games after a demonstration at the Berlin Games in 1936. The sport has not been featured in any Games since, though the glider designed for it, the DFS Olympia Meise, was produced in large numbers after the war. 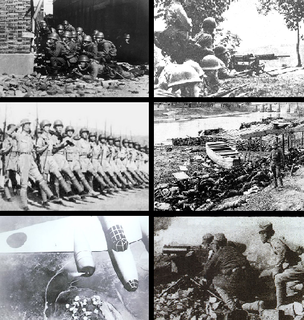 Meanwhile, Japan hosted the 1940 East Asian Games in Tokyo, with six participating nations. Helsinki eventually held the 1952 Summer Olympics, while Tokyo held the 1964 Summer Olympics and will hold the 2020 Summer Olympics. 1 2 "Report of the Organizing Committee on Its Work for the Xiith Olympic Games of 1940 in Tokyo Until the Relinquishment" (PDF). Retrieved 2014-03-12. ↑ Welch, Ann (1980). The Story of Gliding 2nd edition. John Murray. ISBN 0-7195-3659-6. ↑ "Glider design to be used at the 1940 Olympic Games" . Retrieved 2008-03-25. ↑ Grys, Iwona (April–May 1996). "The Olympic Idea Transcending War" (PDF). Olympic Review. 25 (8): 68–69. Archived (PDF) from the original on 10 September 2008. Retrieved 2008-07-31. ↑ Ray Wagner; Heinz J. Nowarra (1971). German Combat Planes. Doubleday. p. 312. The 1972 Winter Olympics, officially known as the XI Olympic Winter Games, were a winter multi-sport event which was held from February 3 to February 13, 1972, in Sapporo, Hokkaidō, Japan. It was the first Winter Olympics to be held outside Europe and North America, and only the third game held outside those regions overall, after Melbourne and Tokyo. Baseball at the Summer Olympics unofficially debuted at the 1904 Summer Olympics, and became an official Olympic sport at the 1992 Summer Olympics. The event was last played in the 2008 Summer Olympics in Beijing with South Korea taking the gold; the sport was dropped from the Summer Olympic programme, but will be revived as part of the programme for the 2020 Summer Olympics in Tokyo. Bids for Olympic Games is the process where National Olympic Committees select from within their national territory cities to put forward bids to host an Olympic Games. The staging of the Paralympic Games is automatically included in the bid. Since the creation of the International Olympic Committee (IOC) in 1894, which successfully appropriated the name of the Ancient Greek Olympics to create a modern sporting event, interested cities have rivaled for selection as host of the Summer or Winter Olympic Games. Sailing/Yachting is an Olympic sport starting from the Games of the 1st Olympiad (1896 Olympics in Athens Greece. With the exception of 1904 and the canceled 1916 Summer Olympics, sailing has always been included on the Olympic schedule. The Sailing program of 1964 consisted of a total of five sailing classes. For each class, seven races were scheduled; these took place from 12 October to 23 October 1964 off the coast of Enoshima in Sagami Bay. Tokyo is a major center for sports in Japan. Its professional sports teams compete in baseball, football (soccer), sumo and basketball. It hosted the 1964 Summer Olympics and will the Olympics once again in 2020. Tokyo 2020 was a successful bid for the 2020 Summer Olympics by the city of Tokyo and the Japanese Olympic Committee. On September 7, 2013 at the 125th IOC Session in Buenos Aires, Tokyo won their bid to host the games. 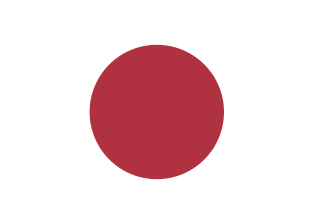 Tokyo previously hosted the 1964 Summer Olympics. On August 3, 2016 it was reported that the IOC approved the addition of five sports to the program of the 2020 Olympics including the return of baseball and softball. Though the whole event was eventually cancelled due to the outbreak of war, the 1940 Summer Olympics torch relay was planned for both of the proposed host cities. The International Olympic Committee (IOC) awarded the 1940 Summer Olympics to Tokyo, Japan in July 1936. Tokyo's ability to host the event was questioned after war broke out with China with some countries calling for the Games to be boycotted. The Japanese decided to cancel the event and Helsinki, Finland, the runner-up city in the bidding process, was selected as the replacement. That too was cancelled after the outbreak of World War II. 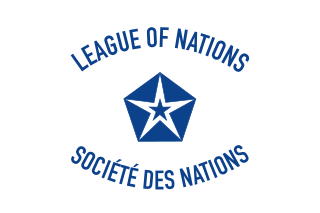 The 1943 Workers' Summer Olympiad, which were to be the seventh edition of the International Workers' Olympiads, were cancelled due to World War II. They were to have been arranged by the Finnish Workers' Sports Federation and held in Helsinki, Finland. Wikimedia Commons has media related to 1940 Summer Olympics .